About You Mastectomy Boutique is committed to assisting our customers with restoring a positive body image and renewed confidence with well fitted and comfortable products. Like our name implies, our company was built on a foundation that is strictly client-focused. We truly are all ABOUT YOU. Personally affected by breast cancer, our founding members were driven to create a source of personal attire that supports and restores a woman’s silhouette with post-surgery products and apparel. It is our pride and our pleasure to offer women a high-quality line of lingerie, swimwear, and activewear that is specially designed and engineered to help you feel like yourself again. We carry a full-line of lymphedema products that include stylish sleeves and gauntlets as well. About You Mastectomy Boutique in Tampa, Florida is dedicated to working with your medical team to provide the absolute best products, care, and service you need for your comfort and well being. Carrying more than 1,000 mastectomy bras and prostheses for women who have undergone partial or full mastectomies, our boutique promises more than just a line of apparel; we offer emotional support and understanding, where clients donate to our cause and team members and personal fitters work to help customers cope with the emotions that unexpectedly rise when trying on prostheses and breast forms for the first time. 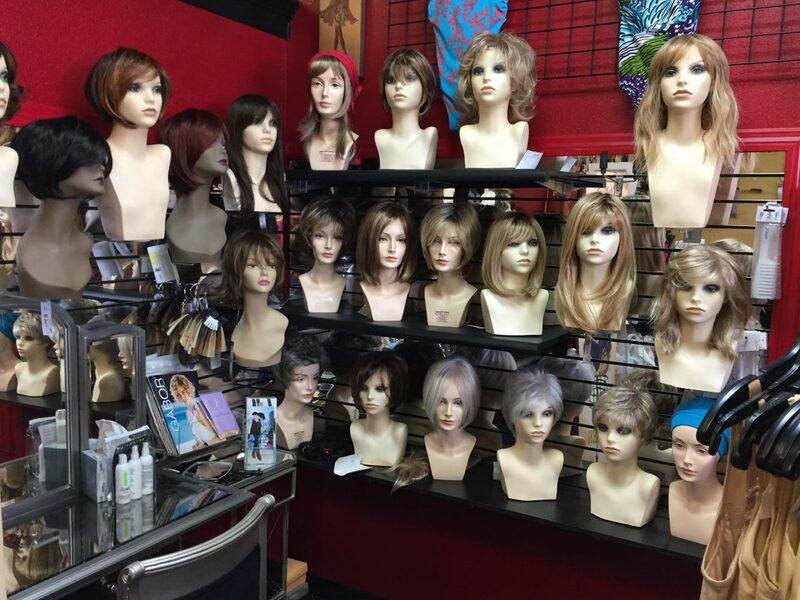 We are also proud to carry an extensive array of wigs, hats, and turbans for our customers. Supporting our goal to be consultative in nature, we work with your insurance company and Medicare to help cover the costs of our products. We also accept and distribute gently-used prostheses, giving those without insurance the ability to experience the life-affirming benefits of our products. Located in South Tampa, About You Mastectomy Boutique has grown to become one of the most recognized small businesses in Florida, earning South Tampa Chamber of Commerce “Business of the Year” award in 2016. Find out what makes us different by calling us or stopping in for a visit today. We look forward to supporting you and your family in the most beautiful ways we know.